Small kitchens can be charming and cozy; they can also be prone to clutter and frustration. Whether it’s a matter of square footage or of cabinet and counter space (which is my issue), there are ways you can reclaim your kitchen and banish overcrowding for good. Here are some tips to help get you started. Cookware: If you bought a full set, chances are you don’t really need every pot and pan that came with it. Can you get by with fewer? Do you need a large, medium, and small saucepan? Get rid of a few pieces and free up a lot of space. Bakeware: Similarly, some of us (ahem, me) have waaaaaay more bakeware than we need. Is it necessary to have three glass casserole dishes plus two metal pans and one stoneware dish? Probably not (unless you make and freeze many lasagnas). Utensils: One thing I noticed when decluttering my own kitchen is that I had a utensil holder on the counter plus a full drawer of utensils. I hardly ever touched that drawer! Everything I use often stays in the utensil holder, so I got rid of a ton of old spatulas, gadgets I never use, and miscellaneous pieces and freed up an entire drawer. Storage containers: It’s so easy to accumulate a mass of Tupperware and various storage containers. From food gifts to leftovers from a dinner party, there are many ways that we find ourselves in possession of an army of plastic. Discard or donate what you don’t need and consider upgrading to a matching set that will last a long time and store comfortably nestled together. Mitts, towels, etc. 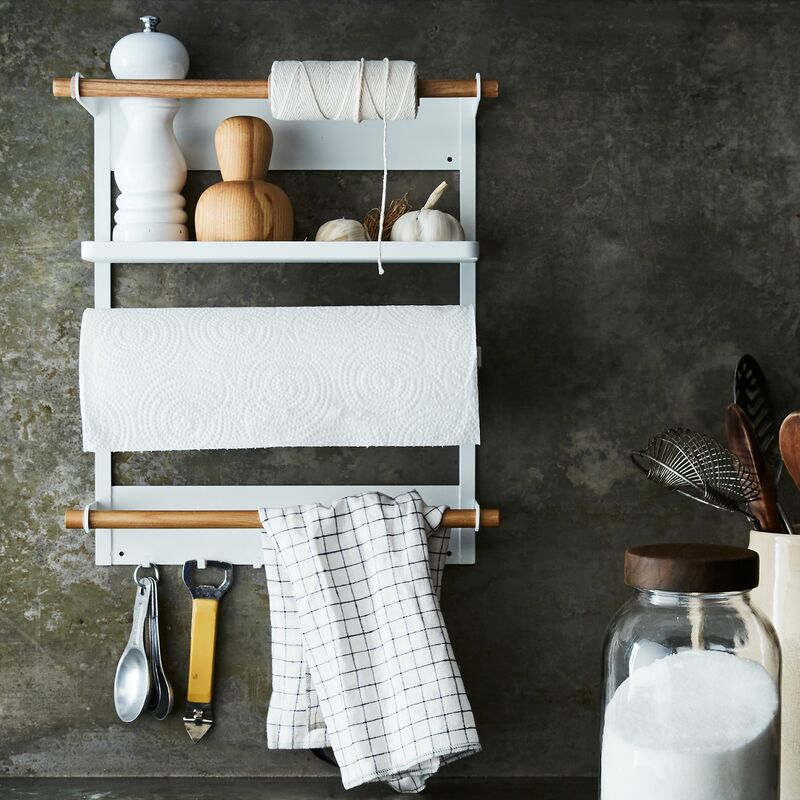 : Hanging on to old and shabby oven mitts and dishtowels probably doesn’t take up a huge amount of space, but it’s a good area to clean out anyway. There are plenty of other areas to condense and declutter, but this list should get you started and help open up a lot of space in some cases. 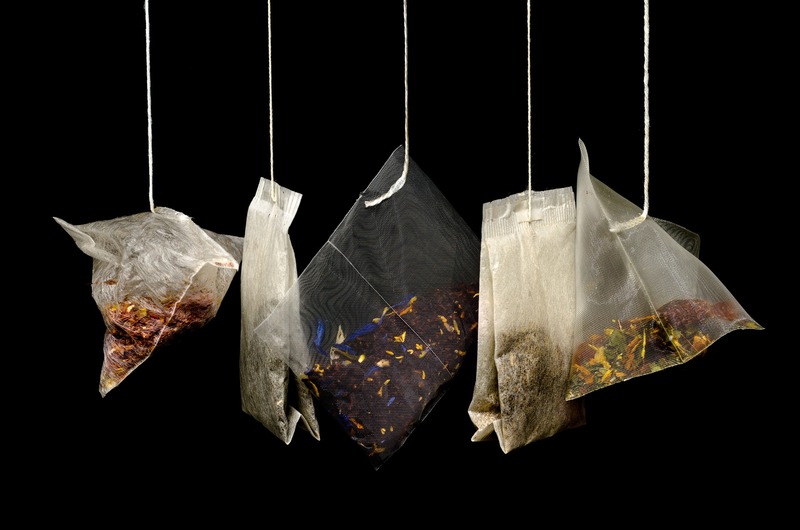 The next step after clearing out your kitchen is an ongoing one: You have to be vigilant with your kitchen purchases. 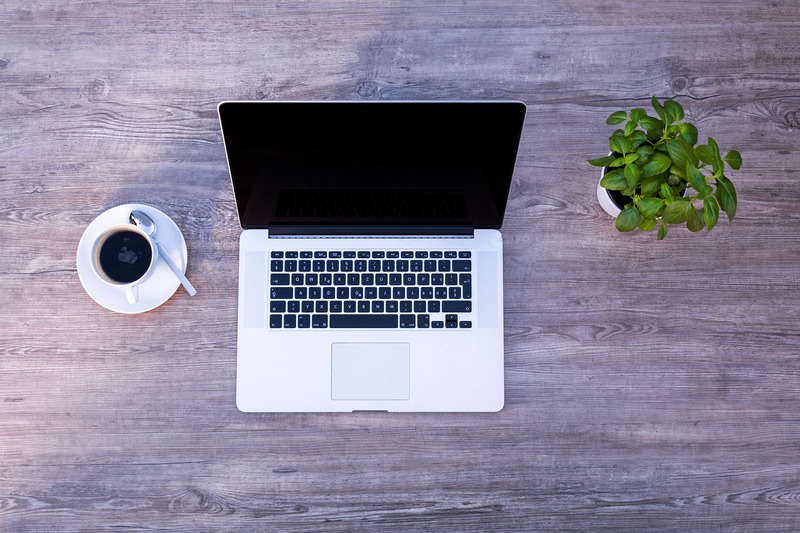 It’s easy to fall prey to the latest and greatest gadget, but if you don’t have the space, it needs to really be something you’ll use often if you’re going to devote precious storage space to it. Take time to review your needs and the available space before committing to a purchase. Or, make yourself throw out or donate one thing when you buy something new. Another tip in this area is to look for things that fit together well or that will combine easily with what you already have. One example is storage containers. If you stick to one brand or buy a full set, it should be easier to stack them together, maximizing space in all directions. 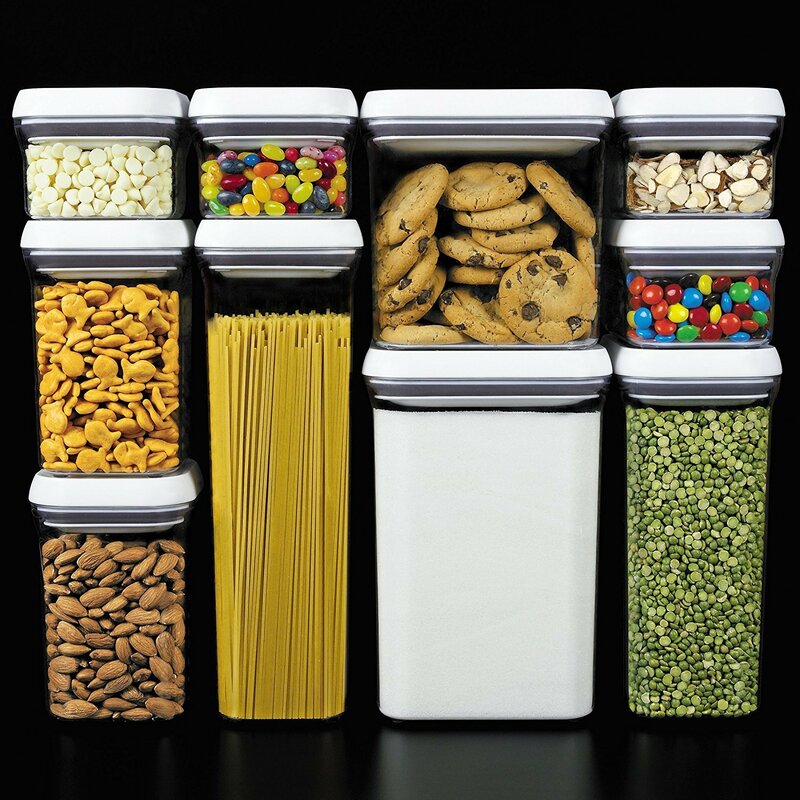 Another good option is to grab some larger storage containers that fit better in your cabinets or pantry. In my house we go through a ton of cereal, so we buy big boxes from Costco. Putting the cereal into storage bins like these ones means I can throw out the box and my kids can get the cereal easier (and with less mess). Large food containers can be a lifesaver for small kitchens – it maximizes space by reducing weird box sizes, and it makes it easier to see your stock in the pantry. Another extension of the two previous steps is this: You gotta make time to assess your kitchen situation. Perhaps it’s twice a year, or at the start of each season, or on a boring rainy day in October. Whenever works for you is totally fine, just make sure to stick to it. Essentially what you’re doing here is going through the same kind of checklist (or your own version) that we talked about in step one. You might ask yourself about each one, when did I use this last? How often do I use it? What would happen if I didn’t own this? Regular cleanouts, especially when combined with other areas of the house, give you plenty of stuff to donate (which equals tax write-offs!). You’ll also want to be vigilant about cleaning out your pantry, refrigerator, and freezer – and I hope it goes without saying that this sort of cleanout should happen more frequently than the full kitchen cleanout (please don’t wait 6 months to throw out that spinach in the bottom drawer). Doing this regularly makes it so much easier to keep track of what you do and don’t have, and it just makes the whole experience of opening those doors much better. 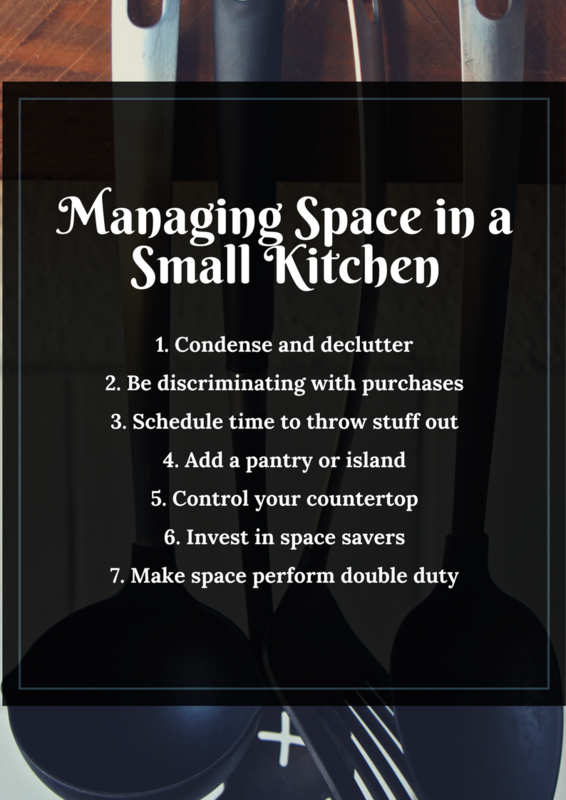 This may not apply to everyone, but for some, adding a bit of extra space is a great way to spruce up the kitchen and gain a bit of storage or prep area. My kitchen is setup in an odd way that gives me very little cabinet or counter space, but lots of floor space (that’s also disrupted by the dining area). A few years ago, I finally added a standalone pantry and I actually have no idea at this point how on earth I functioned without it. 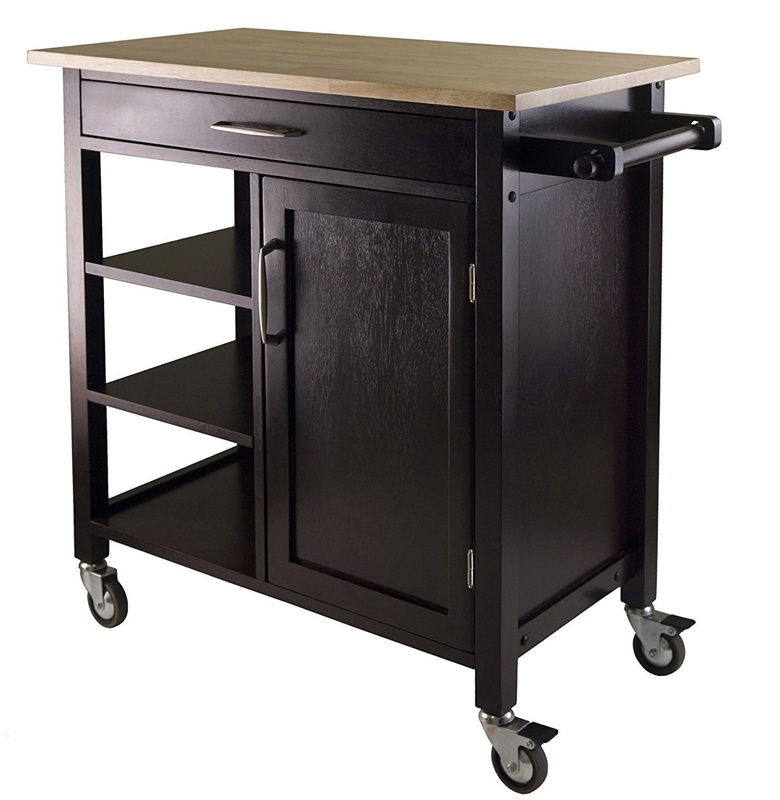 Another option is an island – either one that will stay put or even a cart or small island on wheels. This gives you a bit of extra room to prep food and it should have side pockets or cabinets. It’ll be a bit of an investment (though you might be able to find one on Craigslist or at a yard sale), but if you have space, it could be a huge addition to your kitchen. If you’re short on countertop space, or if your cabinet space is lacking and forcing you to store more on your counter, it’s essential to manage how you use that area. Hopefully, by the time you’ve reached this step, you’ve cleared a lot of the clutter and unused things from your kitchen (if not, back up a few steps!). 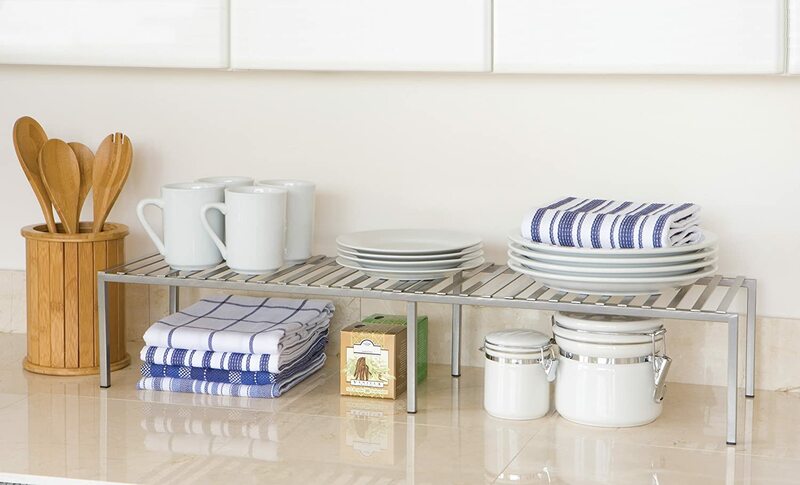 Here are some additional ideas to help you manage and create extra counter space. Pay attention to the aesthetics of whatever you’re putting on the counter — when buying something new, be sure that it’s something you’ll like looking at. If you have to have several things on the counter, you may as well appreciate the view. Maximize space by building up and around. Add pegboards or multi-purpose backsplashes and so forth (think: magnetic knife boards, small shelves, etc.). Just be careful not to get too carried away adding shelving and hooks or it will look cluttered. Make things perform double duty, like cutting boards that work over the sink. This rule can be applied to nearly everything in your kitchen, including appliances and tools. Capitalize on any surface space. Look for unexpected areas like window sills, on top of cabinets, and so forth. Adding additional storage options on the counter and in cabinets can help every inch go the distance. Here are a few products you can purchase to help you maximize countertop space. repeating. If you have limited space, there are a number of smart products out there that help you make the most of the space you’ve got. Or, if you’re crafty, there are plenty of DIY tutorials that can help you create your own clever organizers and space extenders. When things are especially tight, it’s imperative that every inch of space is usable and functional. One of the best ways to achieve this is to make things do more than one function as often as possible. Using an over the sink cutting board (DIY one or buy one) is an easy way to make meal prep easier in a small space. You can also take it one step further and make or buy a cover for your stovetop. On Amazon, there’s a product called More Counter Space available in white or black that covers glass stovetops and provides (you guessed it) more counter space. The Kitchn offers a tutorial for a DIY wood version that could be useful, too. You can also use single-function items like cake stands and Lazy Susans to hold countertop items in between entertaining. 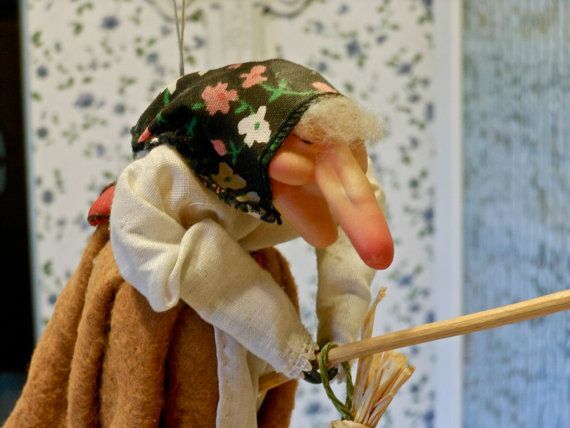 What are your favorite tips for managing your small kitchen?